Our Owen Plaid Pant offers a fresh spin on the classic menswear-inspired print. 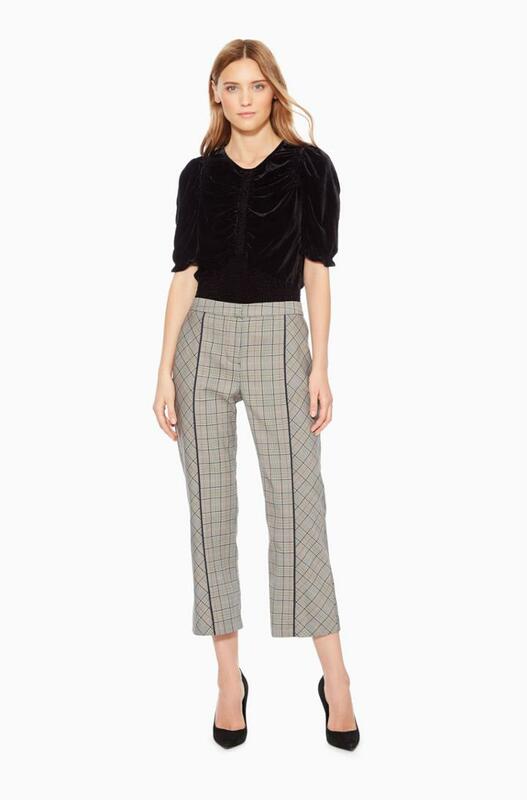 With a mix of plaid patterns and vertical black piping, these polished trousers are tailored in a straight-leg silhouette with a slightly cropped hemline that complements heels or flats. Style it as a matching set with our Hazel Plaid Top or mix it with the bold prints and textures of the season.